Last Friday of the month, time again for good news! 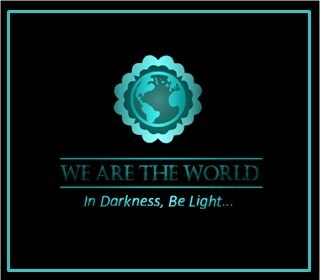 I’m referring to We are the World Blogfest, a bloghop promoting positive news stories that show compassion and the resilience of the human spirit. Sharing these stories increases our awareness of hope in our increasingly dark world. By emphasizing empathy, we may be able to leverage the power of social influence to combat apathy and conflict in new ways. For June, I’ve selected an article from Readers Digest showcasing acts of kindness which speak to the generousity of the American spirit: 17 Extraordinary Stories of Giving #WATWB. When police found Fred Barley, 19, living in a tent on the campus of Gordon State College in Barnesville, Georgia, they were prepared to evict him. Then they heard his story. Barley had ridden six hours from Conyers, Georgia, on his little brother’s bike, carrying all his possessions—a duffel bag, a tent, two gallons of water, and a box of cereal—in order to enroll for his second semester at the school as a biology major. He’d arrived early to look for a job, but no luck. “I’m like, ‘Man, this is crazy,’” Officer Richard Carreker told ABC New York. Moved by Barley’s plight, Carreker and his partner put Barley up at a motel on their own dime. Word spread, and soon people donated clothes, school supplies, funds to cover the rest of his motel stay—he was even given a job at a pizzeria. And then there was Casey Blaney of Barnesville, who started a GoFundMe page for Barley after spending time with him. “I thought, Geez, this kid just rode a 20-inch little boy’s bike six hours in 100-degree weather. He’s determined,” she wrote on her Facebook page. The fund reached $184,000, all of which is going into an educational trust for Barley. Read the remaining stories here. Stories of unselfish giving, replacing stolen items, kindness. Once click! So tell me more about #WATWB, Kate. In an effort to counter the hate and negativity of social media and news, “We Are The World Blogfest” promotes positive news showcasing love, resilience and the power of the human spirit. Once monthly, participating bloggers post stories that spotlight hope in our increasingly dark world. Our blog co-hosts this month are Simon Falk, Roshan Radhakrishnan, Inderpreet Uppal, Lynn Hallbrooks, Eric Lahti, and Mary J Giese. Open to all bloggers the final Friday of each month, you can click here to read the guidelines and sign up , then join us by writing your own #WATWB post. It’s a bloghop occurring once a month. What’s a bloghop? It’s where a whole bunch of blogs have links to each others sites so you can click (hop) from one happy “feel good” article to the next. Click here for links to more positive blogs. Thanks for stopping by my small corner of the world. Now go do some good.